One of our oldest Life Members has passed away. Bob Dove was an avid shuffleboard club member. He passed away on March 30th at the ripe old age of 101. Robert J. Dove, 101, of New Smyrna Beach, died Saturday, March 30, 2019 at Emory L. Bennett Veteran’s Nursing Home, Daytona Beach. Born in Newport, Rhode Island to William and Francine Paille Dove; Robert moved to this area in 1982 from Lapeer, Michigan. 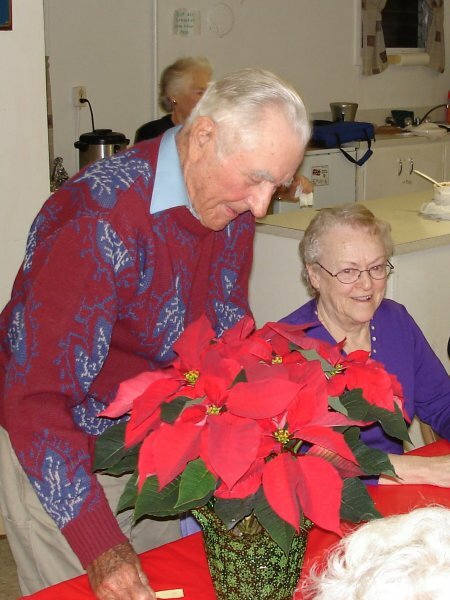 A retired registered nurse and former supervisor at Lapeer State Home and Training School, Robert served in the Army during WWII. A devoted family man, Bob was a member of the Seventh Day Adventist Church, New Smyrna Beach; and he enjoyed golfing, shuffle board, and various other sports, including horseshoes at the Lapeer Horseshoe Club. Survivors include his wife of 46 years, Marilyn; 3 sons, Robert of Bradenton, Guy and his wife, Janis, of Gresham, Oregon, and Dennis of Palm Bay; a daughter, Patrice Dove, of New Smyrna Beach; a step-son, Brian, and his wife, Betty Karpovich, of Brown City, Michigan; a step-daughter, Coralee Johnson, of Villa Ridge, Missouri; 13 grandchildren and 19 great grandchildren; and various nieces and nephews. Robert was preceded in death by his parents; first wife, Mary; step-son, Tom step-daughter, Kay; 4 sisters and 2 brothers. Funeral service will be 10:30 a.m., Friday, April 12, at Settle-Wilder’s chapel (406 S. Orange St.), with John Gray, Seventh Day Adventist Church, New Smyrna Beach, officiating. Burial with military honors will follow at 1:00 p.m., at Cape Canaveral National Cemetery, Mims. Friends will be received on Thursday, April 11, from 4:00 p.m. until 7:00 p.m. at the funeral home. In lieu of flowers memorial donations may be made in Mr. Dove’s name to a charity of ones choice.